How could design facilitate the introduction of insects into the western diet? It’s not just about introducing a new food, it’s about understanding human perceptions and psychology, then using the design of innovative experiences and strategic thinking to drive cultural change. 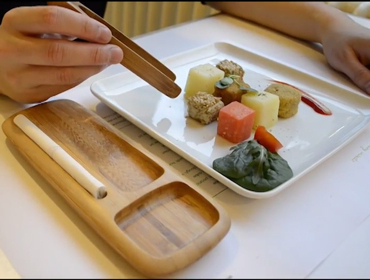 Ento designed a succession of foods and eating experiences that will gently challenge the cultural taboo. And perhaps by 2020, fresh grasshoppers will be a regular sight in your local supermarket.